Refashion Co-op: Using a kimono bargain to create a 70's blouse! 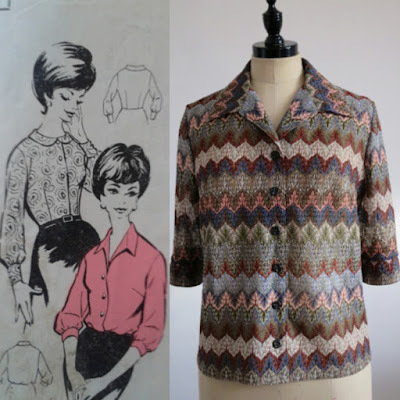 Using a kimono bargain to create a 70's blouse! This was one of those bargain buys that had a good amount of fabric in it, ready for a refashion. I love this piece of fabric, it really reminds me of the 70's! And that collar shape, so of the time. Love this re-make, the fabric is fabulous. Thank you. It is very 70s. The fabric is just perfect for the style of blouse! Great job!